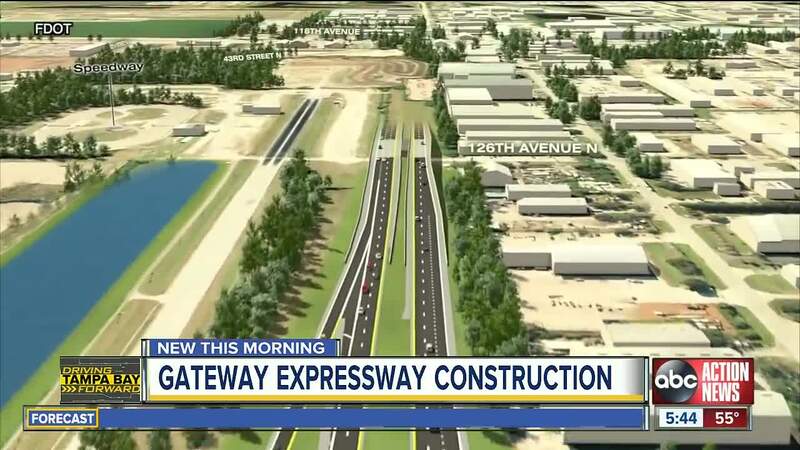 In the one year since the Gateway Expressway project kicked off, Florida Department of Transportation officials say they are pleased with the progress. TAMPA, Fla. — Construction crews will be out in force across the Tampa Bay area in 2019 fixing roads. Here are five biggest road projects to watch for over the next twelve months. FDOT is planning to add extra lanes to the I-275 West Shore Interchange in an effort to combat traffic bottlenecks on the Howard Frankland Bridge heading north into Tampa. FDOT is adding one additional lane in each direction at the West Shore I-275 interchange. Then, at the ramp, the state will add an additional lane to get traffic off to either Kennedy Blvd. or Tampa International Airport, in an effort to ease congestion. 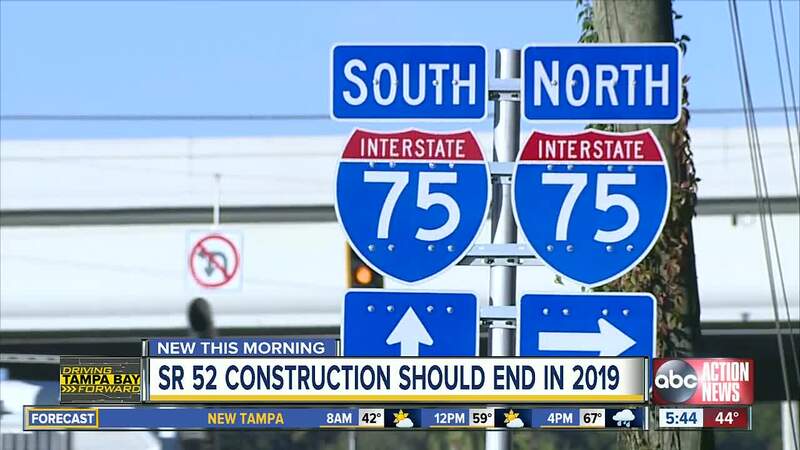 The project, also called the I-275 Operational Improvement Punch-Through Project, will help eliminate a serious safety issue, FDOT said. FDOT said that means you’ll see traffic moving faster through rush hour, reducing overall congestion. The state is also planning to add an additional lane to the Tampa International Airport Ramp to the State Route 60 and additional lanes coming off of West Shore going to Lois Ave., allowing people extra time to get to Lois if they want to get to that exit, according to FDOT. FDOT officials say most of the construction adding lanes to the interchange will be done at night or at off-peak hours. FDOT also plans to maintain two lanes in each direction throughout construction. Construction on the $29M project should start in mid-to-late summer and should last about two years, FDOT officials said. The Florida Department of Transportation is widening approximately 1.5 miles of State Road 52 (otherwise known as Schrader Highway, between Bellamy Brothers Boulevard) and Old Pasco Road. This will transform parts of State Route 52 from a two-lane road to a four-lane divided roadway with medians in Pasco County. Other improvements include installing a new traffic signal at Old Pasco Road, replacing the traffic signal at Bellamy Brothers Boulevard, constructing a 12 foot multi-use path along the north side of the road and a 5 foot sidewalk on the south side. However, drivers could see an impact on their commute as it gets finished. Most construction activities are taking place during daytime hours, FDOT said. Other widening projects along SR 52 include widening and realigning SR 52 from Uradco Place to Fort King Highway in eastern Pasco County. Construction is anticipated to begin in late 2019, according to FDOT. FDOT also plans to widen SR 52 from the Suncoast Parkway to east of US 41 . In addition to the widening, a 12-foot-wide, multi-use trail will be built along the north side of SR 52. The project also includes approximately 1 mile of widening on US 41 approaching the SR 52 intersection. The project is currently in design. Construction is anticipated to begin in 2019, according to FDOT. Florida Department of Transportation, began construction on the $59.1 million SR 56 extension from Meadow Pointe Drive to US 301 in southeastern Pasco County in February 2017. When complete, the new four-lane road will provide another much-needed transportation connection between Wesley Chapel and Zephyrhills and Interstate 75. The new SR 56 extension is expected to be open to traffic in late 2019. 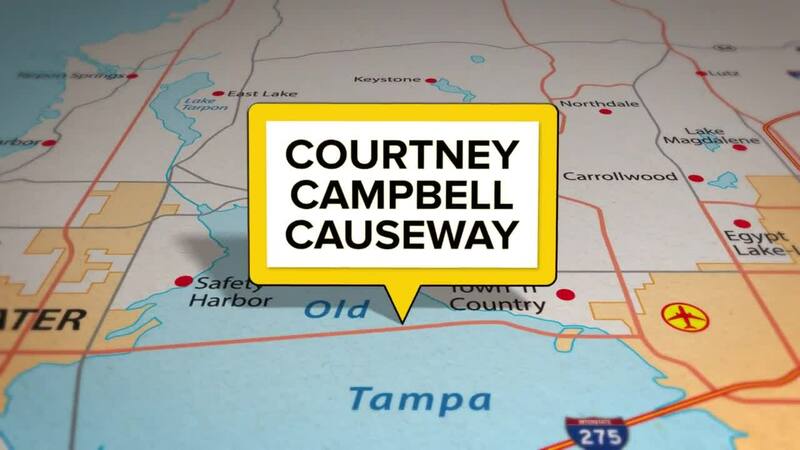 Construction work on the Courtney Campbell Causeway is expected to wrap up in the late spring or early summer, according to Florida Department of Transportation officials. The purpose of the $12 million project was to improve water circulation and restore tidal flows. In November 2018, crews removed the north and south dam. Work has since continued on the southern portion of the bridge. McShaffrey says drivers should expect lane closures once the traffic-shifting process begins. The project began in October 2017. Pasco County commuters should expect to see work increasing over the next few months at the interchange of Interstate 75 and State Road 56. 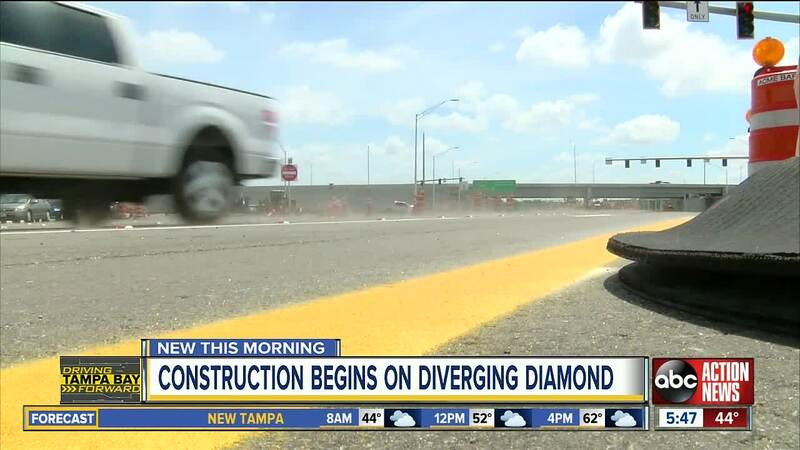 Construction for the diverging diamond kicked off in early January with a completion date of late 2021. In the near future, drivers will see crews working along the I-75 northbound exit ramp and the I-75 southbound entrance ramp. 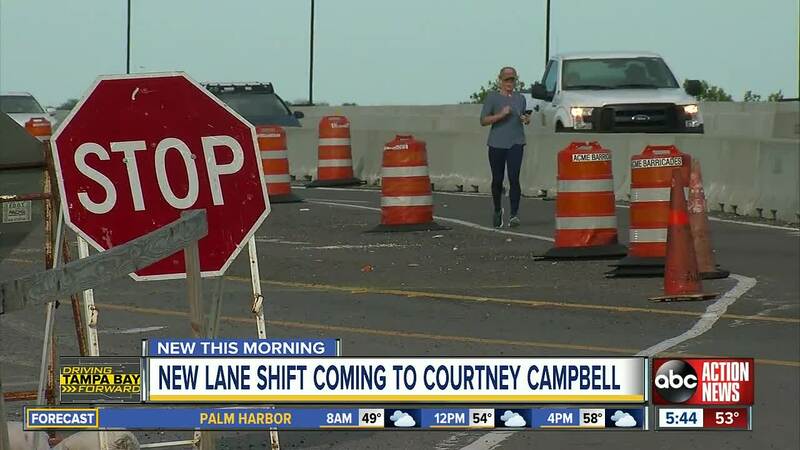 “Over the next few months, we’ll see them installing drainage pipe, doing temporary paving along the roadway and a couple of the ramps,” said John McShaffrey, FDOT Community Awareness Manager. McShaffrey says drivers should also expect to see periodic nighttime closures on the SR 56 & I-75 ramps with work really ramping up in the spring and summer. FDOT says the diverging diamond is the smartest and most cost-affordable option for the interchange. Read more about the project here. The $580 million massive project will allow direct connections between I-275 and US-19 and the Bayside Bridge and I-275. John McShaffrey, FDOT Community Awareness Manager, said the majority of work has been on Roosevelt Blvd near the St. Petersburg-Clearwater International Airport and 118th Ave N between I-275 and US-19. Work was recently added to I-275. The focus of work along 275 will be between Roosevelt and Gandy Blvd. Drivers should watch out for periodic lane closures at night. McShaffrey said there will be no daytime closures unless there is an emergency.